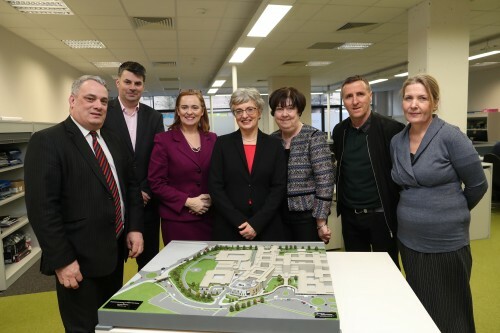 Minister for Children Katherine Zappone visited the offices of the Children’s Hospital Group and the National Paediatric Hospital Development Board this week to learn about the state-of the-art new children’s hospital which will open on the campus shared with St James’s Hospital in 2021 and the new Paediatric Outpatients and Urgent Care Centres which will open at Tallaght and Connolly Hospitals on a phased basis from 2018. The NPHDB and the Children’s Hospital Group Board continue to work closely with the HSE and the Department of Health to enable the government to make its final decision on the project. The NPHDB and the Children’s Hospital Group are committed to delivering this much-needed world-class hospital for the children, young people, parents and the staff of the three children’s hospitals.